In July 2014, Irish artist D. Joyce-Ahearne’s work was exhibited at the Museum of Modern Art in New York. 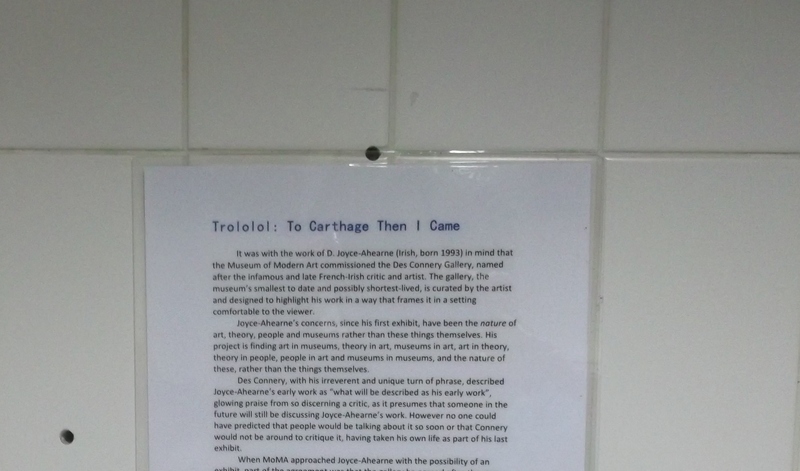 The exhibit, entitled Trololol: To Carthage Then I Came, was as controversial as it was short-lived. Following widespread outrage at the work on display, MoMA pulled the exhibit after only two days and shut the Des Connery Gallery in which it had been displayed, indefinitely. The space is to be reopened in spring 2015 under a new name, the museum having decided to shed the moniker of the notorious art critic. Very few photographs taken by the public have surfaced. Last month however, a series of photographs taken at the exhibit appeared online. The photos, which appear to have been rushed and are in places blurry, are the only known record of the exhibit. They have seen little airing in the media, with few willing to comment on a topic which many happily believed to be buried. “It was with the work of D. Joyce-Ahearne (Irish, born 1993) in mind that the Museum of Modern Art commissioned the Des Connery Gallery, named after the infamous and late French-Irish critic. The gallery, the museum’s smallest to date, is curated by the artist and designed to highlight his work in a way that frames it in a setting comfortable to the viewer. Joyce-Ahearne’s concerns, since his first exhibit, have been the nature of art, theory, people and museums, rather than these things themselves. His project is finding art in museums, theory in art, museums in art, art in theory, theory in people, people in art and museums in museums. Des Connery, with his irreverent and unique turn of phrase, described Joyce-Ahearne’s early work as ‘what will be described as his early work’, glowing praise from so discerning a critic, as it presumes that someone in the future will still be discussing Joyce-Ahearne’s work at all. However no one could have predicted that people would be talking about it so soon or that Connery would not be around to critique it, having taken his own life as part of his last exhibit. 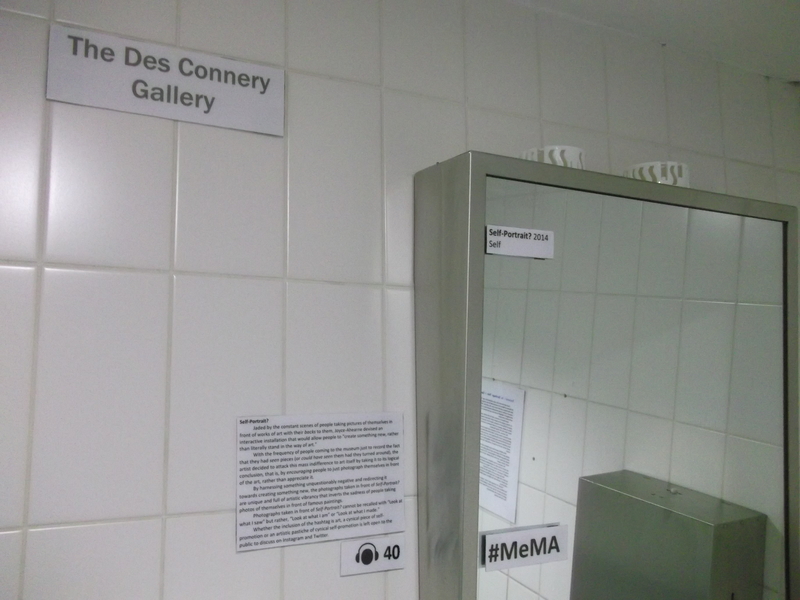 The Des Connery Gallery, showing the work Self-Portrait? “Though it is unknown who the models are that sat for the portrait, they are believed to be twins. The original and its many copies adorn a Park Avenue apartment that Joyce-Ahearne was commissioned to decorate several years ago while working in the city. The vague expression on the women’s faces, which are almost identical, have drawn obvious comparisons to Leonardo da Vinci’s Mona Lisa, though many see Joyce-Ahearne’s Portrait of Two Women more favourably, as he evokes much the same sense of mystery with more subtlety. 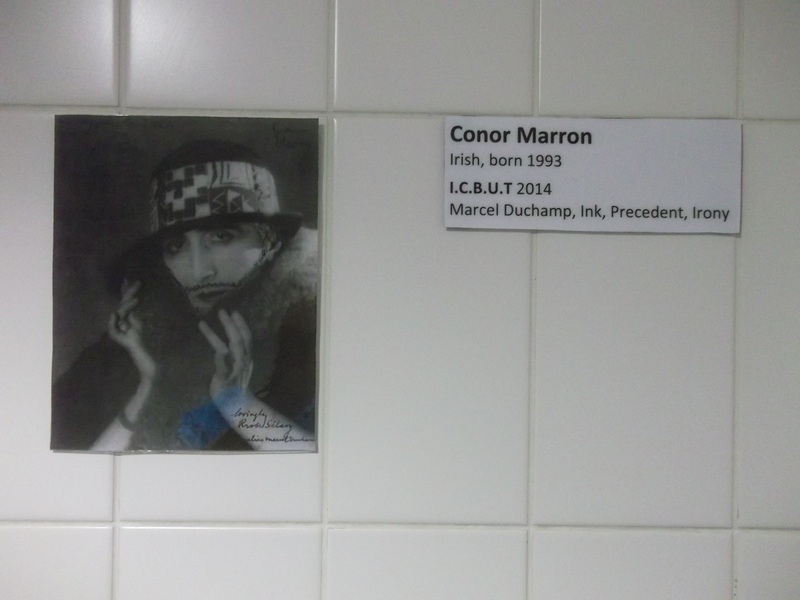 I.C.B.U.T, a work displaying a crudely bearded Rrose Sélavy (a pseudonym for the French artist Marcel Duchamp), though part of Joyce-Ahearne’s exhibition, was attributed to an unknown artist named Conor Marron. Marron, in turn, is now considered to be a pseudonym for Joyce-Ahearne himself, the name believed to be a pun on the French connard marrant. 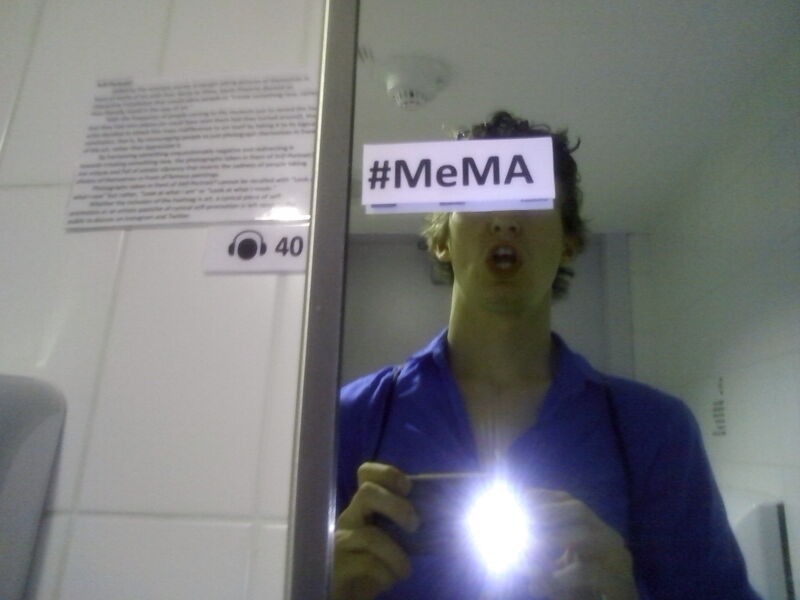 With the frequency of people coming to the museum just to record the fact that they had seen pieces (or could have seen them had they turned around), the artist decided to attack this mass indifference to art by taking it to its logical conclusion, that is, by encouraging people to just photograph themselves in front of the art, rather than appreciate it. By harnessing something unquestionably negative and redirecting it towards creating something new, the photographs taken in front of Self-Portrait? are unique and full of an artistic vibrancy that inverts the sadness of people taking photos of themselves in front of famous paintings. Since the photographs have emerged, Joyce-Ahearne has denied that it is him in the above photo, despite a definite resemblance to the man pictured. Conspiracy theories have abounded since the leak, with some suggesting that the man is Des Connery and that the critic, in fact, faked his own death. Other theories include that Joyce-Ahearne is an alter ego of Connery or that Joyce-Ahearne is perhaps the alter ego of Connor Marron (rather than the other way around). Some conspiracies go as high up as suggesting that MoMA themselves orchestrated the entire debacle and that Des Connery himself never existed but is rather an eighty year old experiment in conceptual art. “Perhaps the most shocking piece of Joyce-Ahearne’s work so far, The Curationist Myth has been decried by many as being a step too far. Turned down by countless galleries as being ‘pure insanity’, MoMA accepted the piece as part of Trololol: To Carthage Then I Came, recognising it as, if not the crowning piece of the exhibit, then at the very least the cornerstone on which the entire concept of play between art, ideas, people and museums rests. 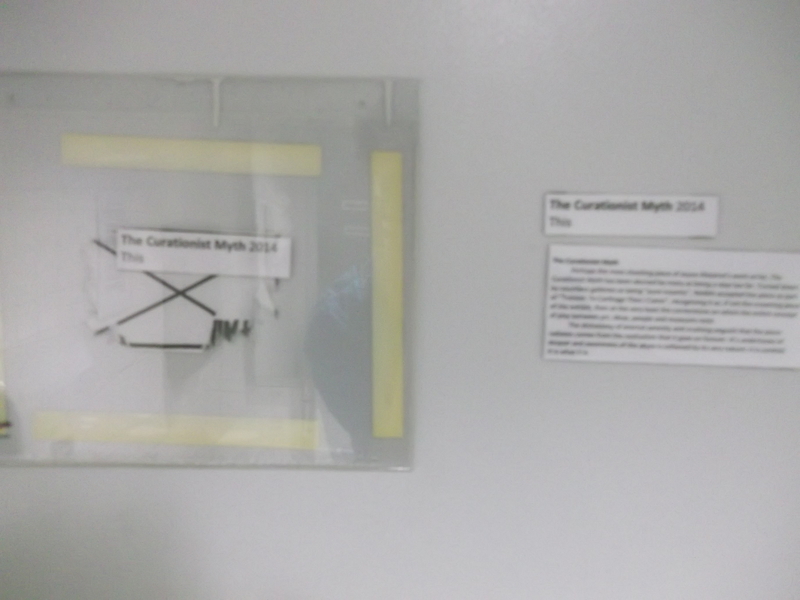 The Curationist Myth was the exhibit’s most controversial piece and widely accepted as the reason the exhibition was shut down. 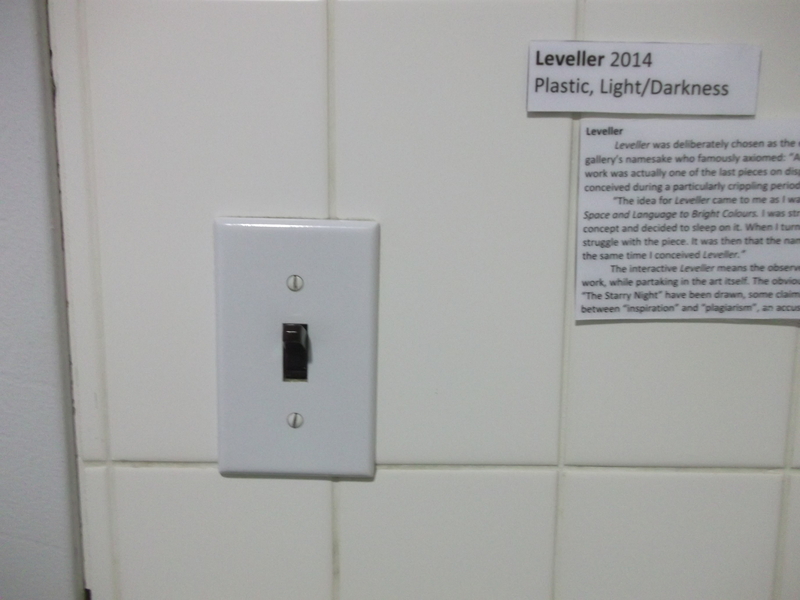 The piece consists of an information sign which gives the title of the piece and the materials of which it is composed, which simply reads “This”. 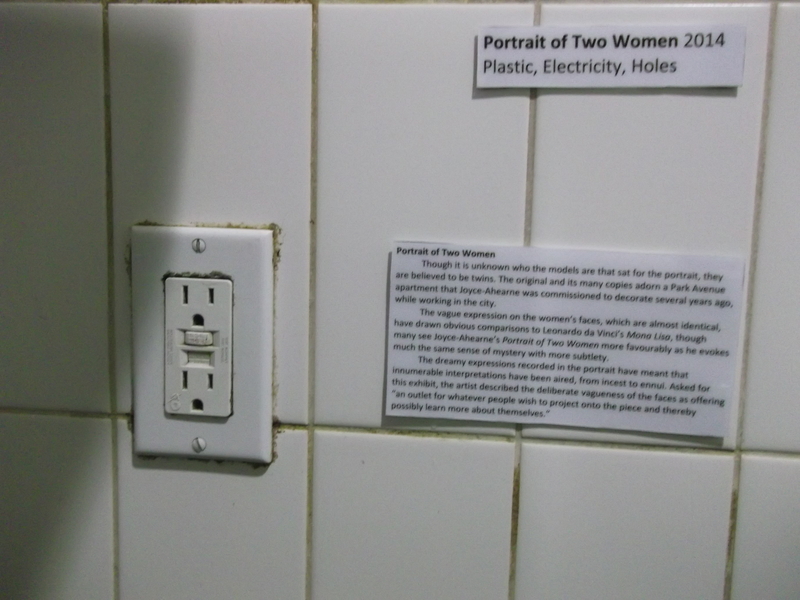 The work is then curated by a copy of the same sign. The Curationist Myth, which calls the very idea of a museum into question, resulted in hundreds of visitors demanding their money back from MoMA, having been convinced by the work that museums were an absurd idea.